Directions: Parkedale Avenue to North Augusta Road and head North. Before Centennial Road. Watch for signs. Public Remarks: Great country property 302′ deep. 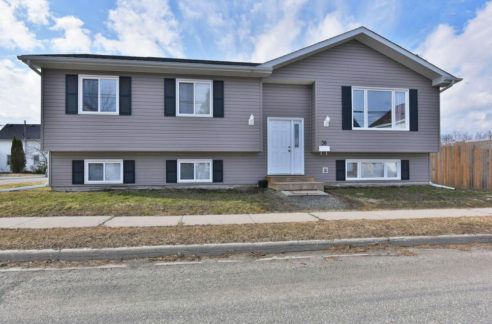 1 1/2 storey home, 2+1 bedroom, open concept living/kitchen, newly renovated and updated. This home has been lovingly cared for and updated. New flooring on the main level and a new dishwasher. All updated light fixtures and new sump pump.